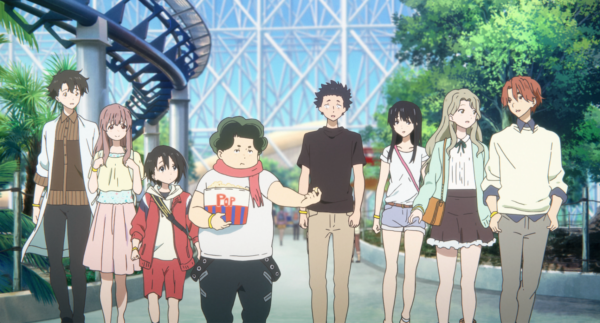 "A beautifully animated, emotional anime story"
Based on a manga by Yoshitoki Ōima, the anime film A Silent Voice was one of the most popular at the Glasgow Film Festival and certainly one of the most emotional. Shoya Ishida was a popular kid in elementary school who led a bullying campaign against the new girl in his class, Shoko Nishimiya, who is deaf. After months of bullying Ishida, takes it that one step too far and Nishimiya is transferred to a different school. Ishida ends up being ostracized by his classmates for the rest of his school days until by random chance he meets Nishimiya in high school and he sets out to make amends. A Silent Voice was a gut punch of a film and left a big impact on me after seeing it: the same feeling I had after seeing A Monster Calls. To put it this way, I had to watch an episode of a popular animated comedy series to cheer myself up afterward. For a film to leave that kind of impression on me it must have done something right. A Silent Voice also resonated with me because it reminded me of my school days which was not a happy time for me, so I can empathize with the characters onscreen and it goes to show that film has a universal appeal. A Silent Voice is a teen angst story and a running theme is a self-hatred. Ishida hates the person that he used to be, having a sense of guilt that is amplified by his isolation - and early in the film he contemplates suicide. It’s an arc that is similar to Rea Sanka in the anime series Sankarea: Undying Love, both follow depressed, isolated teenagers and have excellent ways of visualizing this state of loneliness. 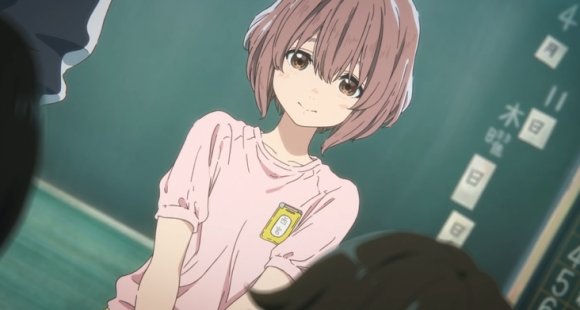 Nishimiya is openly incredibly kind to everyone even after she has been bullied yet she too had a feeling of self-loathing because of her disability: most people can’t look beyond it and she would want to be seen as normal. Sadly, depression affects a lot of people with disabilities and the film does a brilliant job at capturing this feeling. For Nishimiya it’s a big deal just to put her hair in a ponytail because it would expose her hearing aid and she's self-conscious because of her voice. There is tremendous power when the young Nishimiya snaps and attacks Ishida after months of abuse. Even the supporting cast have issues or characteristic that they hate about themselves, whether it is one girl who hates that she has fear and another for her self-centred personality and wanting to be popular. 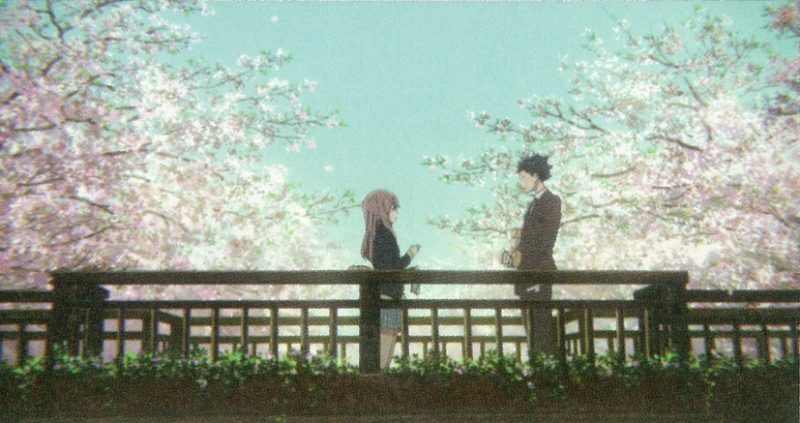 A Silent Voice has been marketed as a romance but it is not a traditional romance. There is a spark between Ishida and Nishimiya as they get closer together - when they were young Nishimiya did look at Ishida like she fancied him and Ishida misinterpreted this. Yet they never act on their feelings and the film's focus is more on two lonely souls finding friendship and forming their own group of friends - even if Ishida constantly asks the question what does it mean to be a friend while Nishimiya first words to Ishida is 'friends?' Like many anime projects, A Silent Voice is all about big emotional moments and outbursts. It is a stark contrast to a film like The Levelling that also played at the Glasgow Film Festival: a drama that was about emotional restraint and subtle moments; A Silent Voice was all about emotional grandstanding and big emotional outbursts. This melodrama is part of the course with many anime projects and it’s a testament to the direction and the voice acting that this approach had the desired emotional effect and did not become grating. The melodrama is also tempered by quieter moments like when Nishimiya sees Ishadi for the first time in years there is fear in her eyes. The movie also has moments of humor to alleviate the heavier moments. A Silent Voice was directed by Naoko Yamada who has previously worked on films and TV shows for Kyoto Animation. 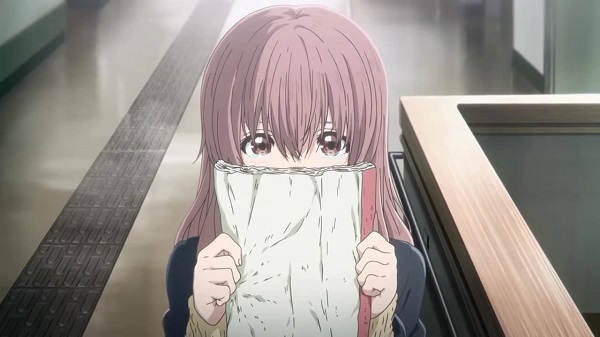 A Silent Voice is her third film and she delivers a beautiful looking movie: the animation is of a high standard as to be expected and there is a particular detail of facial expressions and small movements. It is bright and colorful despite some of the dark subject matter and the money is clearly up on the screen. It was worthy of its animation especially considering this type of story could have been made in live-action. The original manga lasted for seven volumes and this is where A Silent Voice's biggest problem lies: its episodic nature. The film runs for two hours and nine minutes which is long for an animated film which usually makes do with 90 minutes. Yamada's experience has primarily been in television and the movie itself plays like a number of mini-arcs - similar to a TV show. Considering this structure A Silent Voice could have worked as a TV series. The more I reflect on A Silent Voice the more I love it which goes to show how powerful it is: a wonderfully animated film that was filled with color and felt all too real. A Silent Voice is out in theaters on March 15 in the UK.